Around this time last year I found lost treasure in the form of a print copy of the “Bachman Books” anthology. 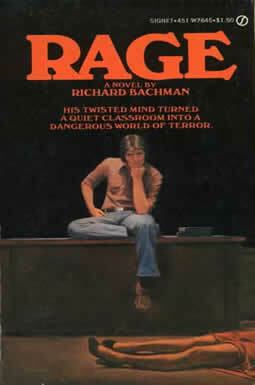 Richard Bachman, for anybody who doesn’t know, was Stephen King’s pseudonym right around the time he started gaining serious recognition for his work. Only after I brought the book home did I discover that my volume was all the more unique for including the now excised and largely anathematized novel, Rage. Rage, as the title suggests, is a window into anger. It’s a very specific kind of anger that sees a psychologically unbalanced young man bring a gun to his school and murder two of his teachers. As I’ve read and digested this book over the last couple of weeks, I pondered on the impossibility of telling this story today. A little more research into the novel revealed that the perpetrators of four school shootings in the 80s and 90s cited Rage as a source of inspiration for their crimes. These horrors precipitated King pulling the book from circulation. More recently, he wrote a twenty-five page essay on the subject of gun culture in America; where upon he further distanced himself from Rage. Fair enough. I suppose if I wrote something that a handful of crackpots used as motivation to do something unspeakable, I too would want to downplay my work. At the same time, I think King is doing a disservice to the actual message of Rage in kicking it to the curb. I mean it’s not like we stopped talking about The Running Man when 9/11 happened. No sensible person talks about Ben Richard’s ultimate act of defiance, terrible as it is, as the locus of TRM’s themes, but that is a blog post for another day. Even though Rage sees Charlie Decker shooting two of his teachers and holding his class hostage, he doesn’t do so out of a love for terror. He doesn’t want to see the world burn, to paraphrase from The Dark Knight. Rather, Charlie’s actions are born out of a sense of powerlessness that drives him to psychosis. Through the course of the book, we learn that Charlie’s father, a by-the-book naval officer, is emotionally and physically abusive to Charlie. Furthermore, the father figure embodies all the terrible gender identities that emerged out of suburbia: male virtue tethered to emotional distance, casual misogyny, and a certain father-knows-best hubris. 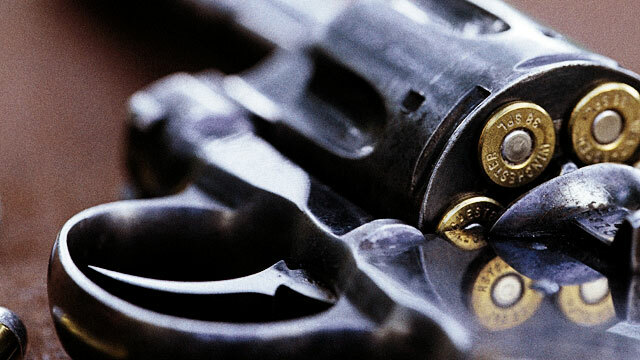 These are the things that emotionally cripple Charlie Decker to the point where he has to find a sense of safety in arming himself. His violence against the teachers catalyzes a group awakening among his fellow students; wherein, the powerless Charlie empowers his classmates, and ultimately destroys the emotional stability of the group’s alpha male, Tom, a person who most closely mirrors Charlie’s father. Certainly Charlie Decker is an anti-hero if there ever was one. That said, there’s nothing in the text or subtext of the novel to suggest that King, who wrote this novel in his youth, was raising Decker up as an icon for all. It’s a cautionary tale, a Carrie absent the supernatural powers and obvious pariah of religious fundamentalism. Tragic as school shootings are, I don’t think they should encourage a cultural shift away from this novel when its underlying message is still on point. This is not a gauche celebration of school shootings. It’s a deeply introspective work of fiction that attempts to understand the plight of the social outcast within the pressure cooker that is high school and a suburban upbringing.